ABC Entertainment and Fremantle announced that actor and comedian Joel McHale is set to host Card Sharks, the suspenseful game where a fortune can be won on the turn of a single playing card! The show is slated to air this summer on The ABC Television Network. A premiere date is yet to be announced. The road to glory and riches begins with two players facing off in a head-to-head elimination race where the winning player claims a $10,000 cash prize and a chance to turn that amount into a life-changing payday. The anticipation builds as the winning contestant risks their prize on predicting seven final cards. The player leaves the game with whatever amount of money they have in their bank after their prediction, and results are revealed on the flip of their seventh and final card. 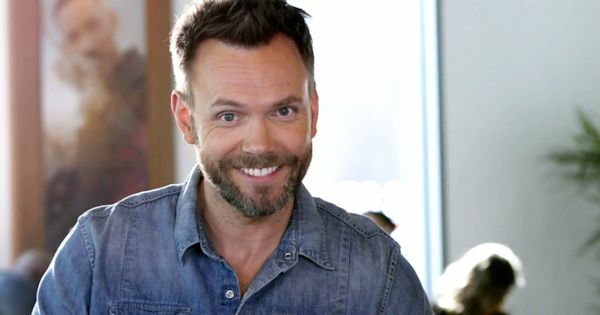 Joel McHale was most recently seen in The Happy Time Murders, as well as Netflix's A Futile and Stupid Gesture, opposite Will Forte. McHale also recently hosted The Joel McHale Show with Joel McHale on Netflix, a half-hour topical series that took a sharp, absurdist look at pop culture and news from across the globe. In 2015, McHale wrapped the 12th and final season of E! Network's The Soup, in which he satirized pop culture and current events. He is best known for his starring role on the hit comedy series Community. Other starring feature roles include the Jerry Bruckheimer-produced, supernatural thriller Deliver Us from Evil; the Warner Bros' romantic comedy Blended, alongside Adam Sandler and Drew Barrymore; Seth MacFarlane's comedy smash Ted; Steven Soderbergh's The Informant; as well as What's Your Number?, starring Chris Evans and Anna Faris. In 2014, McHale hosted the annual White House Correspondents' Association dinner in Washington D.C. He also hosted The 2015 ESPYS on ABC. In the fall of 2016, McHale released his first book through Putnam Penguin, "Thanks for the Money: How to Use My Life Story to Become the Best Joel McHale You Can Be," which is part memoir, part self-help guide. Coming off her brilliant guest performance on Station 19 last Thursday, actress Christine Lakin will next guest star on an episode of the ABC comedy American Housewife. In the Housewife episode titled "The Dance," Lakin will play a mother in the wealthy town (Westport, Connecticut) the show is set in. More info on her character and episode is still yet to come. It will be the 22nd episode of the season and is set to air on Tuesday, May 14 at 8|7c on ABC. In last Thursday's episode of Station 19, Lakin played a pregnant mother, who along with her husband, were victims of a crash on a desolate road in the pouring rain in the episode titled "When It Rains, It Pours!" Lakin of course got her big break on the hit ABC '90s TGIF sitcom Step by Step, playing Al Lambert (all 7 seasons are available streaming at any time on Hulu!). Most recently, she starred in two seasons of the Pop TV series Hollywood Darlings with best friends Jodie Sweetin and Beverly Mitchell, where they play exaggerated versions of themselves. Lakin has also has guest starred on an episode of the ABC hit Modern Family opposite guest star Keegan-Michael Key and choreographs routines quite regularly on the ABC comedy The Goldbergs (set in the '80s) and now also in the spin-off Schooled (set in the '90s). Lakin can also currently be seen on IGTV's Moms in Cars with The Bachelorette alum DeAnna Pappas. The short episodes were big hits and now longer episodes are coming soon on IGTV. Lakin also produces and hosts the Worst Ever Podcast, with friend Alaa Khaled. She is quite busy and we are still hoping that Dancing with the Stars is next for her! Possibly this Fall when the series returns? In the meantime, catch our friend Christine Lakin on American Housewife on May 14!